Is Facebook EdgeRank defeating your Fanpage Efforts? Back in the day when you posted a status update on your Facebook Fanpage your fans saw it in their news feed. Yes, it was that easy. Now…sorry to say for many Facebook Fan page owners we now must compete and over come the Facebook EdgeRank formula. Why should a person with a Facebook Fan page care about the Facebook EdgeRank? Because if you are looking to interact and engage with your fans, most likely they are not even seeing your status updates. Yep, bummer…..
Facebook takes all the stories and they find the story with the highest Facebook EdgeRank score and guess what? 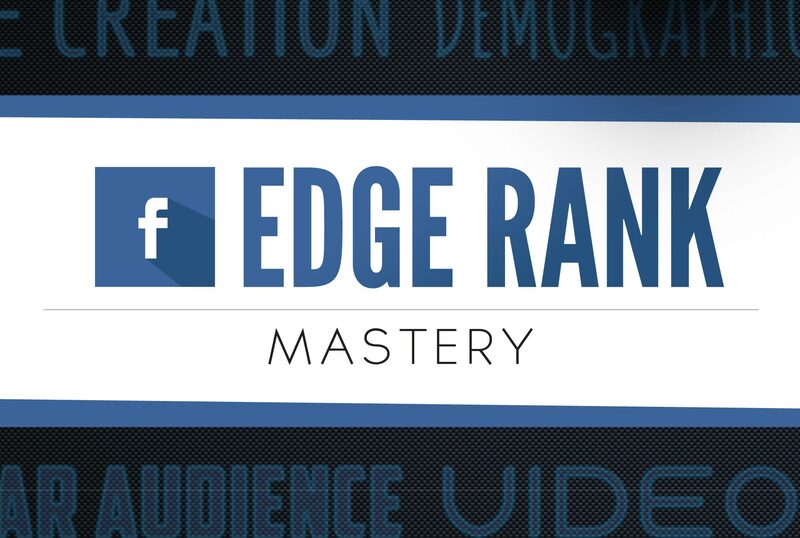 If your story is ranked high through the Facebook EdgeRank process it will show up in your fan’s news feed. Then Facebook will look for the next highest EdgeRank and show that story and so on. Awesome for those who can rank high on their status updates but bad news for those who rank low because now their posts will not be shown to their fans. Hmmmm….So, you have 2376 friends on Facebook but you are only seeing about 50 of them showing up in your news feed. No, those friends that you don’t see didn’t stop posting and chances are they are posting, but you aren’t seeing it. Why? Two words Facebook EdgeRank. For businesses who own a Facebook fan page you might find that the Facebook EdgeRank is holding you back. If you don’t know what EdgeRank is then you better listen up if you plan of getting exposure to your Facebook Fan page. Put in simple terms, Facebook EdgeRank are “objects” which are status updates, like links, photos, videos, or anything else that you can share on Facebook. When you or someone else creates a status update they are creating what Facebook calls an “Edge”. Every “object” receives a Facebook ranking, aka Facebook EdgeRank, which determines if it will show in your personal news feed. So, if you are a business, you will WANT your “objects” to have a high Facebook EdgeRank, if you want the “object” to appear in your fan’s “Top News” feed. The bad news…”objects” with a lowFacebook EdgeRank will not. Facebook creates a formula with those three factors above (which Facebook only knows the formula) and that is how Facebook EdgeRank is created. Every “object” is scored based on the individual. Basically an update or the “object” that is posted is given an affinity score, which is based on the interactions you have with the friend or fan who published the “object”. So, if you interact more with a Facebook Fan page or a friend more often than say Mrs. X (your other friend) then you will receive a higher affinity score with that person. Each time you visit a fan page, click the “Like” button, comment on a user’s status or look at a picture, you increase the affinity score you have with that “user”. Let me make a point here, you can’t increase the affinity score of your own posts by just interacting more with someone that you want to see your posts showing up more on their news feed. Though it will increase the likelihood of you seeing their posts more often, but it won’t be increasing your posts to their news feed. It’s a one way street basically. Each interaction is weighted differently on Facebook. The higher the engagement the higher the score. For example just “liking” a post won’t create a higher level of interaction as commenting on the post would. Commenting requires a higher level of engagement therefore, Facebook will consider that a higher level interaction and the likely hood of you seeing more updates from that particular person is higher due to the Facebook EdgeRank score. Yesterday’s news is just that yesterday’s news and who wants to read that? We want fresh news! Therefore, newer objects are weighed more heavily than older ones which gives that person’s “object” a better chance of showing up in the news feed. It’s important to understand these 3 elements if you want to improve the likelihood of your business “objects” from your Facebook Fan page showing up on your fan’s news feed. You want to post objects that will encourage interaction through comments. Just simply saying, “I’m tired” does not encourage interaction but, saying “Who else has had an exhausting week and tell me why?” creates a “buzz” to answer and engage with that “object”. You can even ask controversial questions or even post a controversial picture. People love to express their point of views and opinions. Bottom line is, this makes your update engaging and now your Facebook EdgeRank will be increasing with that user. If you post a video or a photo, the thumbnail will show up in the Facebook news Feed. Notice lately how they are a lot bigger? Well, that will get people’s attention and who can overlook a video of picture if it appears interesting. Therefore, if you post a video or photo, ask a question under the “object” or write something that warrants engagement. 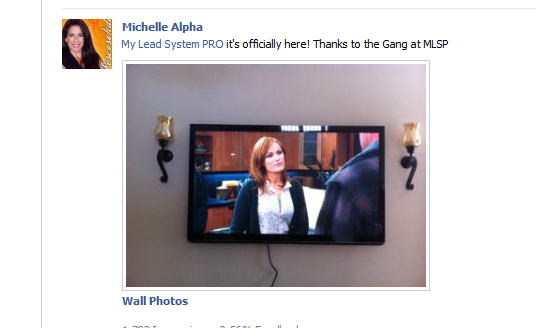 This example below was a 60 inch plasma 3D television we won through MLSP, which created a ton of engagement. Post links because the link requires an action, click to get to the other side. You can also share good content from other resources too. Don’t just post the link, be sure to tell why you are posting the link and why your fans or friends should check it out. This will increase the engagement on that particular post. You are probably connected to over 1000 people and you need to remember the Facebook stream moves quickly. I always comment 3-4 times a day and sometimes even more. Don’t worry if you don’t get any engagement on a post just move on to the next post. If you are not getting the response you desired then consider changing up the engagement offer or try a different time of day. Just remember to keep it fresh and update several times a day. Don’t be afraid to ask for your fans to share or to click “like” especially if you are just starting out. Just know it takes some time for a page to gain momentum but if you stay consistent you will speed up the process. Facebook EdgeRank basically comes down to content. 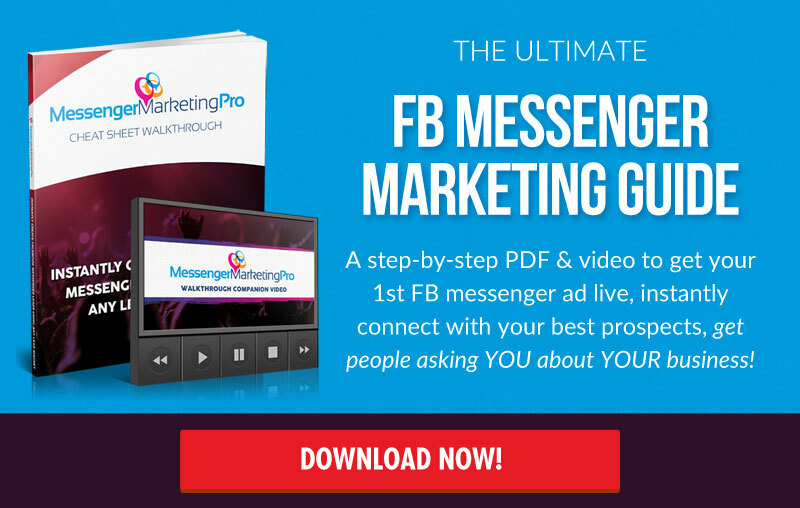 You want to publish content that encourages engagement, through the users commenting, sharing and liking in order to have a killer Facebook Marketing system in place. Yes, Facebook has made it a little more difficult but it’s well worth the extra push to create engaging content when the results are an VERY active Facebook Fan Page. Social Media trainer / speaker teaching home based business owners how to successfully build their brands online using Facebook. Generate more leads, get more sales and make more money all by using the hottest social media platform on the internet, Facebook. Awesome article Michelle and Bill. I was wondering why most of my friends were not seeing my status updates. Now, I have to post some updates to get people talking. Thanks for the info. Michelle…I am a newbie on the net. I resisted technology and am now realizing my mistake. I want to say thank you for the information you post. Every article is always to the point and very helpful. Bless YOU!